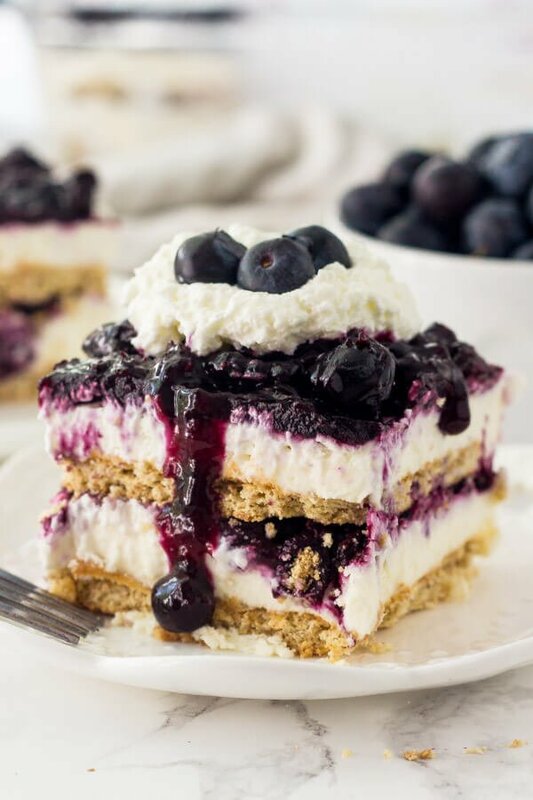 Blueberry Cheesecake Icebox Cake is an easy, no bake, cold & creamy dessert that’s perfect for warm weather. 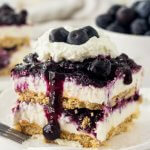 It has layers of graham crackers, creamy no bake cheesecake, and juicy blueberries. Better yet, it takes under 15 minutes to prepare and only requires a few simple ingredients. If you’re looking for the perfect easy, no bake, summer dessert recipe – then look no further. 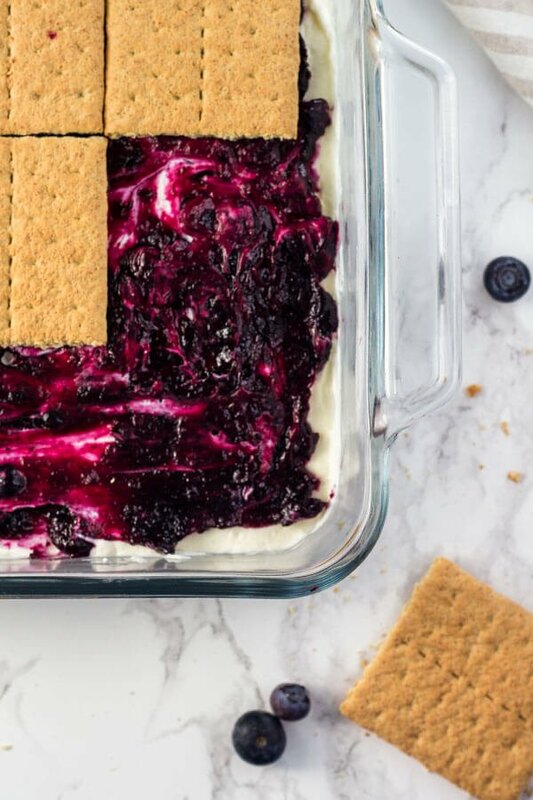 Because this blueberry cheesecake icebox cake is exactly that. 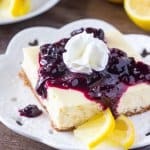 It has deliciously creamy no bake cheesecake filling and juicy blueberries in every bite. It’s always such a hit at summer parties and BBQs. And you’ll love how ridiculously easy it is to make. Icebox cakes are these incredible no bake desserts that really don’t require any baking or kitchen skills. It’s basically just assembly. In the simplest form – the cake alternates between layers of graham crackers and whipped cream, often with fruit or different fillings added in. 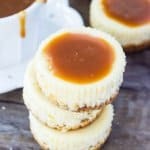 The cake is placed in the fridge before serving, so the crackers get slightly soft from the creamy filling and each bite tastes airy, creamy & completely addicting. 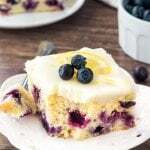 For today’s blueberry cheesecake icebox cake, we’re doing a bit of a switch up on the traditional icebox cake. The creamy filling is a simple no bake cheesecake recipe that’s extra creamy & fluffy because we’re adding a little extra whipped cream. To assemble the cake, first spread about 2 tablespoons of the cream cheese filling on the bottom of your pan. This acts as glue to cement the crackers down. Then spread about 1/2 of the cream cheese filling on top, followed by about 1/2 cup of blueberry pie filling. Then repeat the process with another layer of crackers, followed by creamy no bake cheesecake, followed by blueberry pie filling. And it’s ready to go in the fridge. Feel free to use blueberry pie filling from the can, or your favorite recipe. 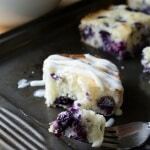 I’ve also included a simple recipe for blueberry filling that you can use too. Or use whatever fruit filling’s your favorite. Strawberry cheesecake icebox cake, cherry cheesecake…. the choice is yours. I find that icebox cake is best if eaten the same day that it’s made because the crackers can get a little too soft overnight. But making it the morning or afternoon of when you plan to enjoy it is totally fine. Can I double the recipe? Absolutely. Feel free to double all of the quantities and make this recipe in a 9×13 inch pan instead. It’ll serve about 18-22 people if you double it. Can I use whipped topping instead of whipped cream? Totally up to you. It’ll definitely work with whipped topping instead of whipped cream. I just prefer the flavor of whipped cream because I find it, well… a little creamier. If using whipped topping, let it thaw and measure out 2 cups. 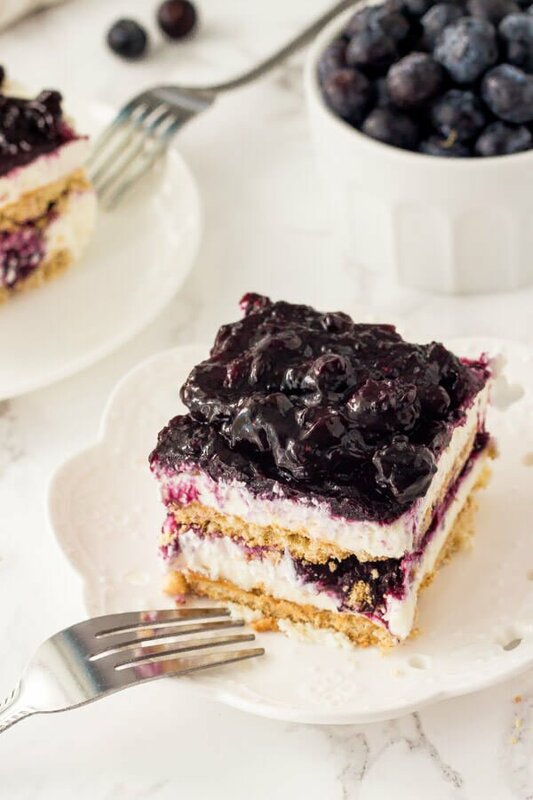 This blueberry cheesecake icebox cake is seriously creamy, so easy to make, and it’s always such a popular dessert for very good reason. 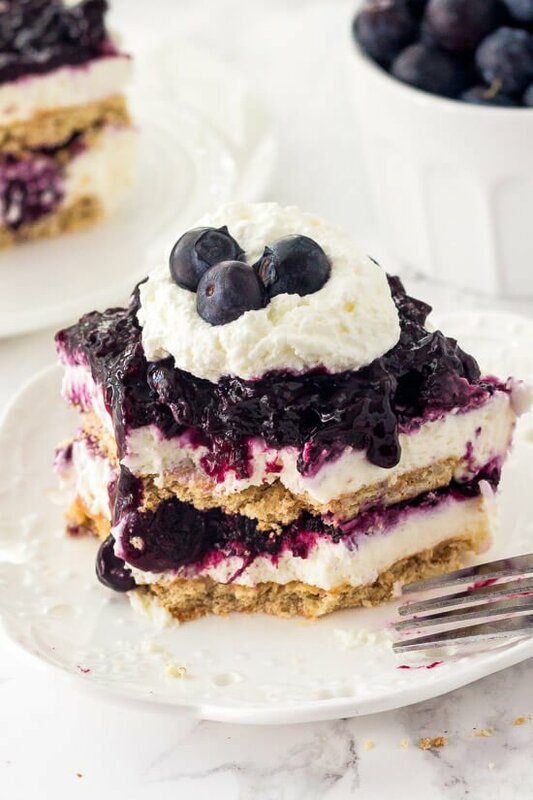 Blueberry Cheesecake Icebox Cake is an easy, no bake, cold & creamy dessert that's perfect for warm weather. It has layers of graham crackers, creamy no bake cheesecake, and juicy berries. In a separate bowl beat together the cream cheese and powdered sugar until smooth. Spread 2 tablespoons of the cream cheese mixture onto the bottom of an 8x8 or 9x9 inch square pan. 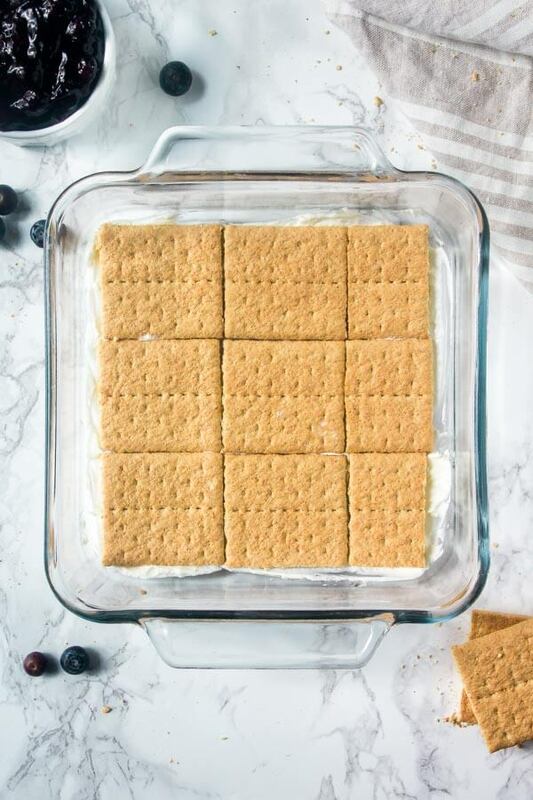 Arrange a layer of graham crackers onto the bottom of the pan. You may need to trim them slightly. Spread about 1/2 of the cream cheese mixture over top (about 1 1/2 cups). Spoon 3/4 cup of blueberry pie filling over top and spread into a layer (I usually dollop about 9 spoonfuls, then spread thin). Add a layer of graham crackers over top. Then repeat the process with the rest of the cheesecake mixture, followed by another 3/4 cup of pie filling. Place in the fridge to set for at least 2 hours. When ready to serve, optionally top with more whipped cream and berries. In a small bowl, dissolve the cornstarch in the lemon juice. Add the blueberries, sugar, and cornstarch mixture to a medium sauce pan over medium low heat. 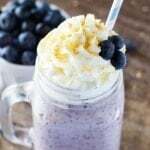 Gently stir the mixture as it begins to boil and the blueberries soften. Allow to heat for 5-10 minutes or until it begins to look thick. The mixture will continue to thicken as it cools. *Use full fat, brick-style cream cheese. **I find this recipe is best if enjoyed the same day that it's made. Leftovers can be stored in the fridge.